As massive amounts of rapidly generated biological data become available to researchers for study, new quantitative tools and methods for their analysis must be employed. To that end, the Simons Foundation has awarded $50 million to Cold Spring Harbor Laboratory in Laurel Hollow, New York, to establish the Simons Center for Quantitative Biology (SCQB). Once operational, the center will bring together researchers in applied mathematics, computer science, theoretical physics and engineering to develop these tools. The center will also host research and education programs to teach biologists new approaches and methodologies to best analyze and exploit the increasingly large datasets now appearing in the field. Members of the new center will interact closely with other Cold Spring Harbor Laboratory scientists and carry out basic research relevant to human diseases such as cancer, autism, bipolar disorder and depression. Cold Spring Harbor Laboratory is one of the world’s leading independent biomedical research institutions, and is one of the first organizations to recognize the essential role of quantitation in the life sciences. It has shaped contemporary biomedical research and education with a wide range of programs and is home to a multidisciplinary scientific community of more than 600 researchers and technicians. 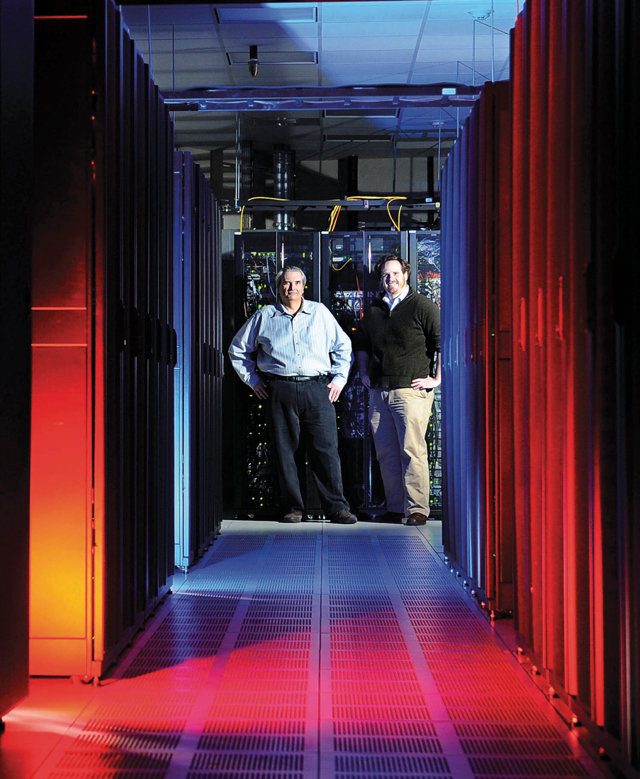 Richard McCombie, a pioneering gene sequencer, and Michael Schatz, an expert in cloud computing and genome assembly, in the CSHL supercomputing core. Schatz, a member of the SCQB faculty, also focuses on genome validation; sequence alignment; high performance and multicore computing; and parallel algorithms. The lab of Mickey Atwal. 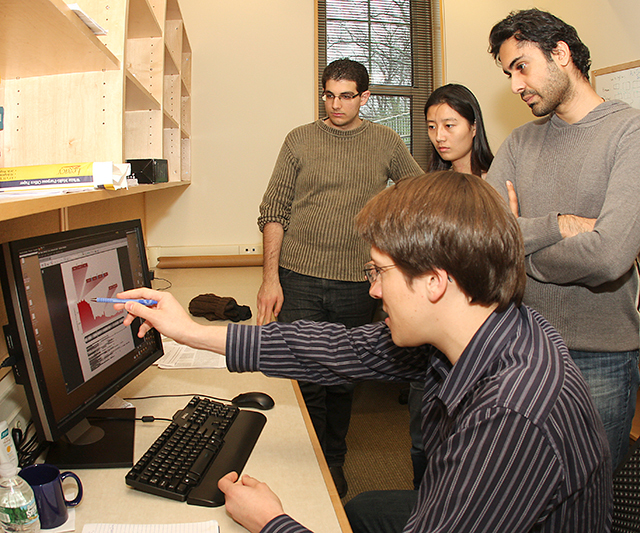 Atwal, at far right, is one of the SCQB faculty; his areas of research include population genetics, bioinformatics, cancer, stochastic processes, statistical mechanics and information theory.